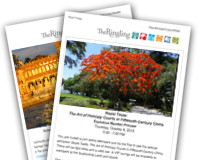 The Ringling offers programs that not only instruct, but inspire. Network with other educators while you earn CEU's at Saturday for Educators. Focused on both special exhibitions and our permanent collection, these resources provide teaching strategies relevant to your curriculum.